It is the policy of Computing At Schools (CAS) to safeguard the welfare of all children and young people by protecting them from all forms of abuse including physical, emotional and sexual harm. This organisation is committed to creating a safe environment in which young people can feel comfortable and secure while engaged in any of CAS’s programmes, training events or workshops. Personnel should at all times show respect and understanding for individual’s rights, safety and welfare, and conduct themselves in a way that reflects the ethos and principles of CAS. Guidelines for all CAS staff. Engage in sexually provocative or rough physical games, including horseplay. Do things of a personal nature for a child or a young person that they can do for themselves. If such an incident arises, for example, where a child or young person has limited mobility, CAS staff should seek a member of school staff or leader of the organisation to deal with such an incident Allow, or engage in, inappropriate touching of any kind. Who are involved in relationships with other members of staff should ensure that their personal relationships do not affect their role within CAS or the work of CAS. Children and young people have a right to information, especially any information that could make life better and safer for them. CAS will act to ensure they have information about how, and with whom, they can share their concerns, complaints and anxieties. When sharing information, CAS personnel will be sensitive to the level of understanding and maturity, as well as to the level of responsibility, of the people with whom they are sharing. 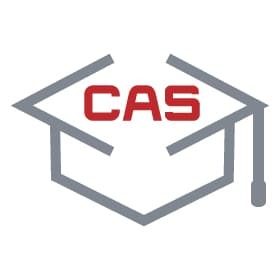 As an organisation, which offers support and guidance to children and young people, it is imperative that each member of the CAS staff is aware of their responsibilities under the Child Protection legislation and has a working knowledge of CAS’s procedures. Each member of staff will receive updated training in Child Protection. Contact one of the CAS Designated Persons for advice / guidance. The Designated Person may then discuss the concern / suspicion with the relevant organisation, and, if appropriate, make a direct referral. CAS operates employment and supervision procedures that ensure highest priority is given to issues relating to child protection. CAS encourages the development of staff through its ongoing support, supervision and training. In CAS the management take responsibility for the training needs of staff and volunteers. The individual, however, also plays a part in identifying areas they feel they require training in. There are 3 set training periods per year.